Thanks to all the volunteers for helping out during the Fireworks Booth Sales 2018. Please check back later for next year's dates and details. We are looking for a chairperson for the 2019 Fireworks Booth. The PFSO, Athletic Boosters and Music Boosters will be partnering again in 2018 to sell safe and sane fireworks to benefit all students at DHS. We were lucky to get two booths to share between the three organizations. 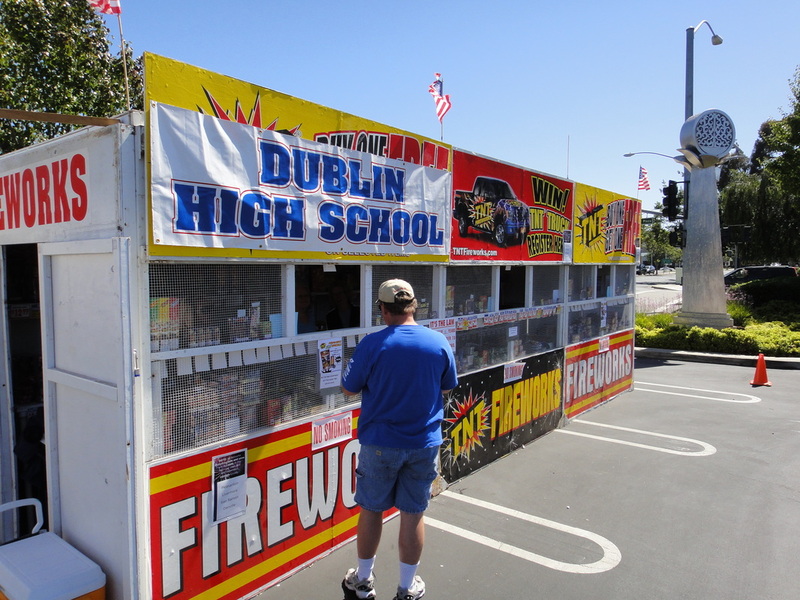 Our booths are located at Safeway (7499 Dublin Boulevard) and Rigatoni's (7350 Dublin Boulevard). This is a great opportunity to raise money, as proceeds will be split evenly between the three groups, This effort takes a lot volunteers, but it's a lot of fun! The shifts are not long so gather your friends and sign up for a shift or two. Volunteers must be DHS graduates and 18 years of age. It's all for the kids!